I love a mixture of fun, bright colors layered on top of a crisp, clean white base. This kimono is not typically my go-to style, but it's definitely fun to change it up every now and then. Thank you guys so much for all the sweet birthday comments yesterday, I can't tell you how much they mean to me! Hope you had a great birthday!! Love this look! That kimono is gorgeous!! This might be my favorite look on you, EVER! That Lisi Lerch necklace is to die for!! I love this look! 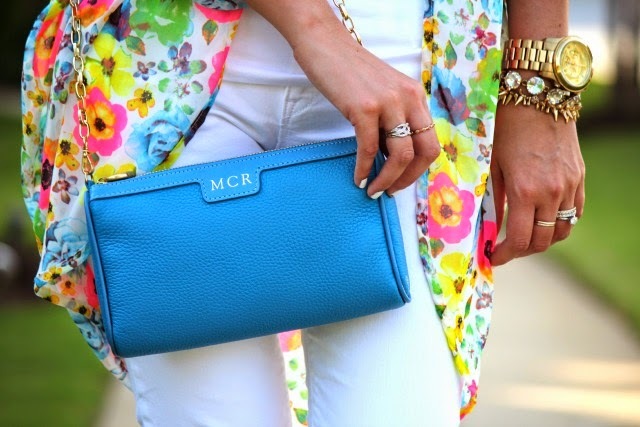 The Kimono, heels and clutch add the perfect mix of colors! 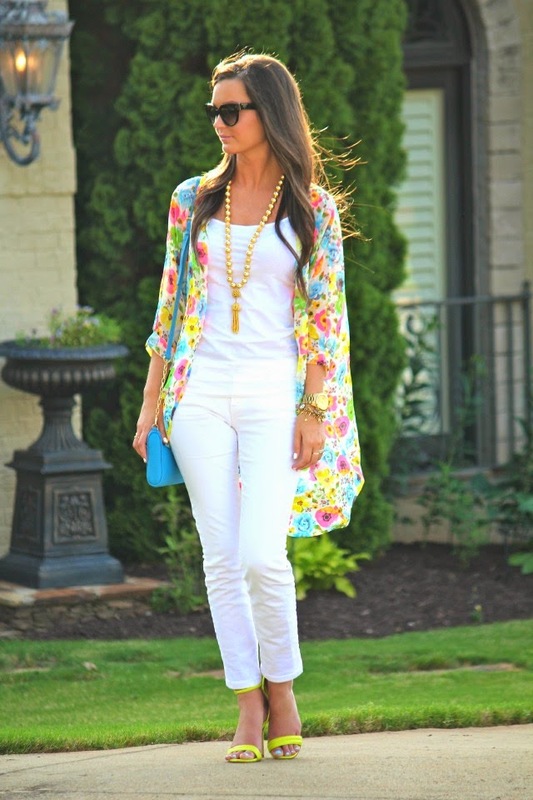 Love that kimono! Looks lovely on you! Also, love your hair! This look is STUNNING!!! 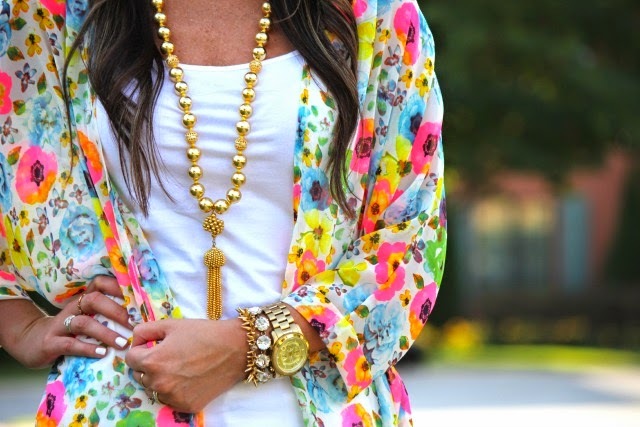 I love love love bright colors, prints, and neutrals and this outfit is perfect!! I am dieting over that kimono right now! You look beautiful!